Want to own a Minnesota brewery? Looking to get into the brewing game? You probably are, you and everyone else. Greg Smith at Leech Lake Brewing is looking to move on the other adventures and he is putting his home and brewery up for sale. There is a lot of work, inspections, paperwork, and more hassle than most people imagine when setting up a brewery. This would type of turn-key deal would enable a startup to bypass that mess and move right into the production phase. Checkout the link to the facebook post below and contact info for serious inquiries. Have you ever dreamed of owning a brewery? Would you like to live on one of the largest, most diverse lakes in the country? Well, here’s your opportunity to do both. As stated on LLBC bottle labels… “BREWED AND BOTTLED IN WALKER, MN, BECAUSE PARADISE REQUIRES A BREWERY.” If fishing, water sports, snowmobiling, cross-country skiing, cycling, golfing… and killer craft beer all equate to paradise in your mind, then allow me to introduce you to Nirvana. 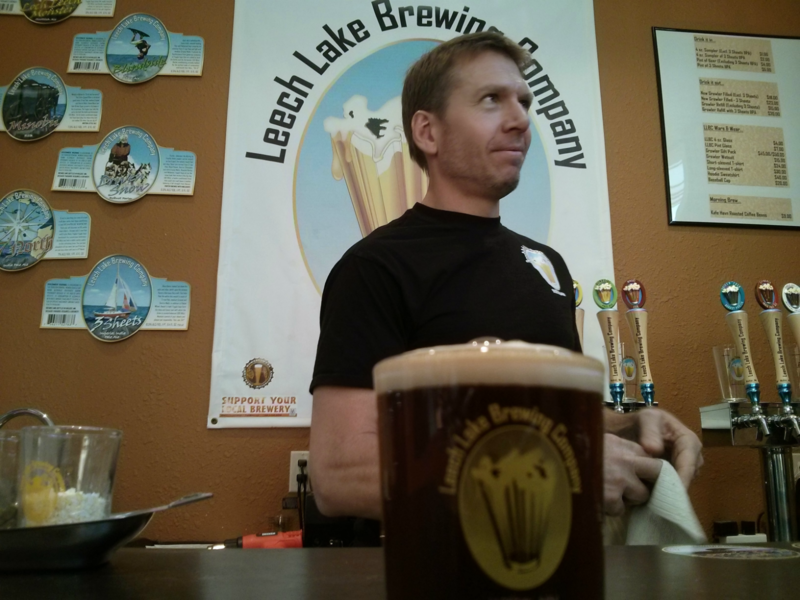 Leech Lake Brewing Company is available as a turn-key business in which you can take over operations immediately. I will be happy to make historic and projected financial data available, and discuss terms with anyone serious about the opportunity who first signs a non-disclosure agreement. In addition to the business, our 6 bedroom/4 bath (~3000 sq. ft.) home near the school in Walker is for sale. We’d consider packaging the business and home together if that is of interest. Contact me via brewmaster@leechlakebrewing.com, or at 218-547-4746, if you’d like more information. Cheers!